Thanks for joining. You're all set to be part of Zet Universe. Basically, if your PC can run Windows 7 Service Pack 1, and it has Microsoft .NET Framework 4.7, you're good to go. And yet, there are some other limitations (like minimal supported screen resolution, RAM, processors) that you might want to know about before installing Zet Universe Insider Preview. 1. Click on the "Download" button below. 2. When asked by your browser, if you want to "Run" or "Save", choose "Run". 3. When browser will warn you that "Setup.exe" is not commonly downloaded and could harm your computer", click on "Actions" button. 4. 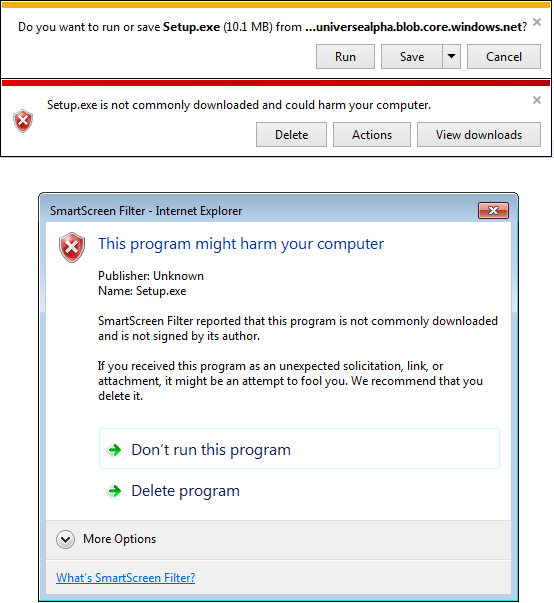 A "SmartScreen Filter" window will appear (in Windows 7, in Windows 8+ it will say "Protect Your PC"); click on "More Options". 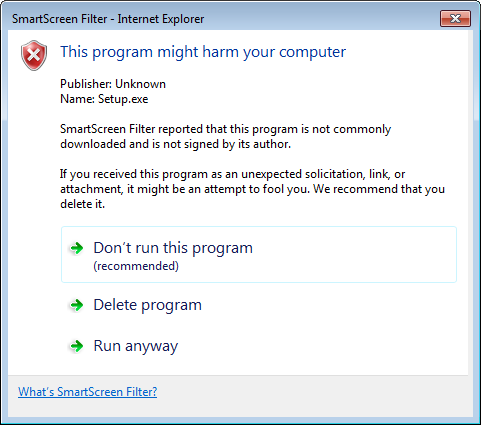 To install Zet Universe Insider Preview, click on "Run anyway" button in the "SmartScreen Filter" window. 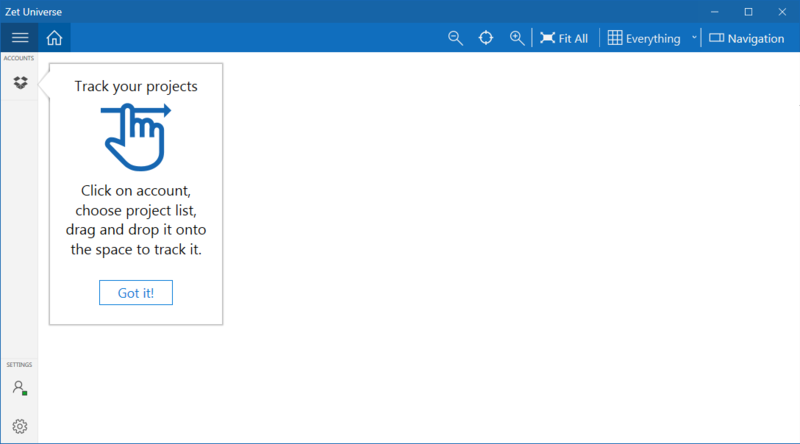 * If you do have Microsoft .NET Framework 4.7 installed on your machine, Zet Universe Insider Preview will be installed automatically and launched right away. Otherwise you'll get a window from installer asking you to install Microsoft .NET Framework 4.7 first. 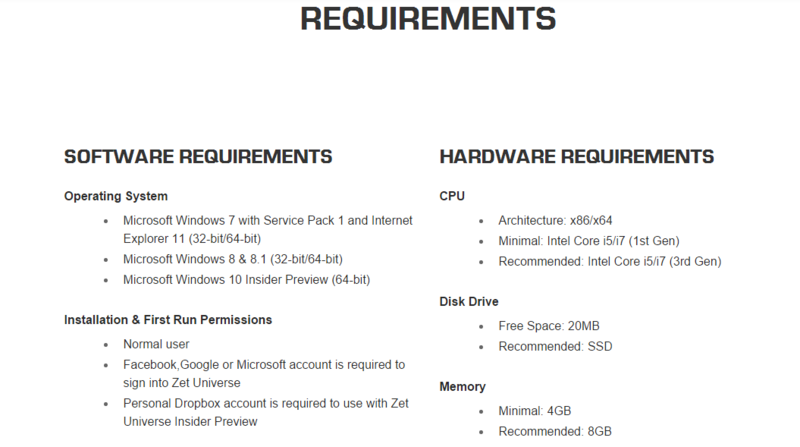 Simply click "Install", and our installer will do its work for you, and then will install Zet Universe Insider Preview. 4. WELCOME TO ZET UNIVERSE INSIDER PREVIEW! What's next? Go to First Steps page to learn how to use Zet Universe Insider Preview. Use Accounts to configure your favorite services.